Sinéad Murphy joined the DCU Educational Trust in January 2017. As Communications Manager, she is responsible for the development and implementation of communications strategy to promote the vision of the organisation and its role in support of the University’s strategic objectives. Sinéad works closely with the Director of Operations to maintain and develop the Trust’s online presence, marketing materials and publications. 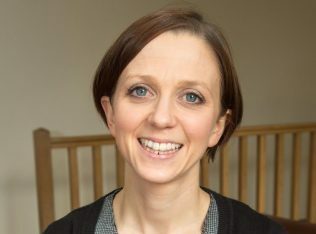 Prior to joining the Trust, Sinéad worked in communication roles with a variety of organisations in the not-for-profit sector including Northside Partnership and the Irish Local Development Network. She holds a BA in Applied Languages and an MA in International Relations from DCU, a Diploma in Web Design from Dublin Business School and a Postgraduate Diploma in Public Relations from the Public Relations Institute of Ireland.